Can Christians operate in witchcraft? It’s unthinkable. Yet many are destroyed for a lack of knowledge. Spiritual witchcraft is the source of confusion, strive, vain imaginations, intimidation and much more. 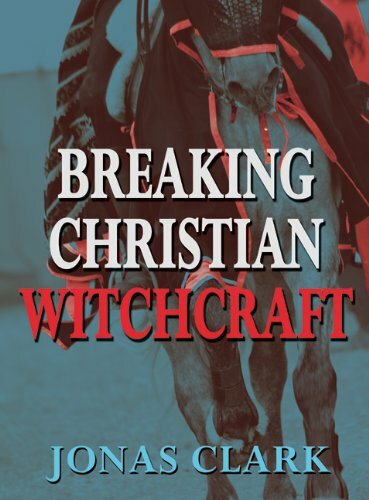 Find out how to break free from Christian witchcraft. Witchcraft is a bona fide demonic power. It is released through various activities such as words, curses, spells, amulets, charms, occult powers, chants, magic, drugs, potions, or directive prophecies. It’s far more than meeting in a forest to worship Mother Earth and hugging pine trees. Witchcraft is a power of Satan that influences people and gives a place to demon activity. But can a Christian operate in witchcraft? Find out inside. – Different forms of spiritual witchcraft that battle your mind. – How religion and the flesh can release witchcraft. – How to safeguard yourself from witchcraft’s influence. – How to discern Christian witchcraft attacks. – The fastest way to overcome witchcraft.